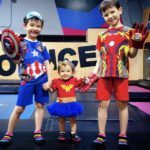 LITTLE KID + BIG HEART = EPIC PARTY | Beverly's Net: family. food. fashion. LITTLE KID + BIG HEART = EPIC PARTY – Beverly's Net: family. food. fashion. 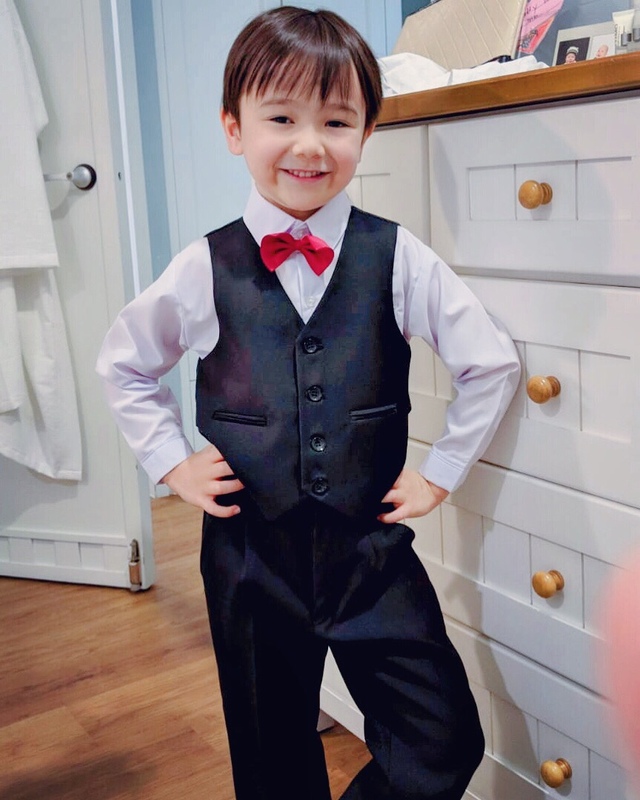 It’s this lil boy’s graduation year… So, next year, I won’t have any more Kindergarten kids! I was looking back at some old photos of him, in all his fatty-cheeked glory, and I just feel so wistful. Carter has always been my baby boy, the boy with the golden heart. 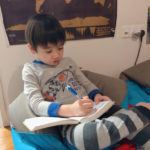 He has more empathy and EQ than most adults have, and it makes me feel a tad sad that, one day, he will learn just how mean and awful the world and people can be. One day, he will grow up big time, and his eyes will be opened to the real world, and he will have to harden his heart accordingly. But until then……. I’m now faced with an epic birthday party. He turns 6 in two weeks, and has been eagerly awaiting his birthday party since the start of this year. His venue of choice is expensive. 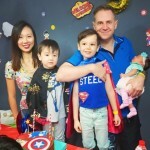 I know that in Singapore, it’s really common to blow huge bucks on kids’ parties.. but for us, we’ve been relatively constrained, partly because the boys enjoy poolside parties (where the venue is free). But this year, it’s the most expensive – ever. Because of the high $ per headcount, I told Carter he could select TEN classmates only, explaining to him why. He was so dismayed, but because he’s an understanding kid (good EQ, remember? ), he didn’t insist and managed to scrape together the list. 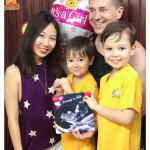 He was brimming with excitement when walking to school in the morning, holding his invitations and just beaming. Then he got really worried as we neared school, and started getting sadder and sadder, and ended up getting a bit teary. He looked so troubled and dejected that I caved. 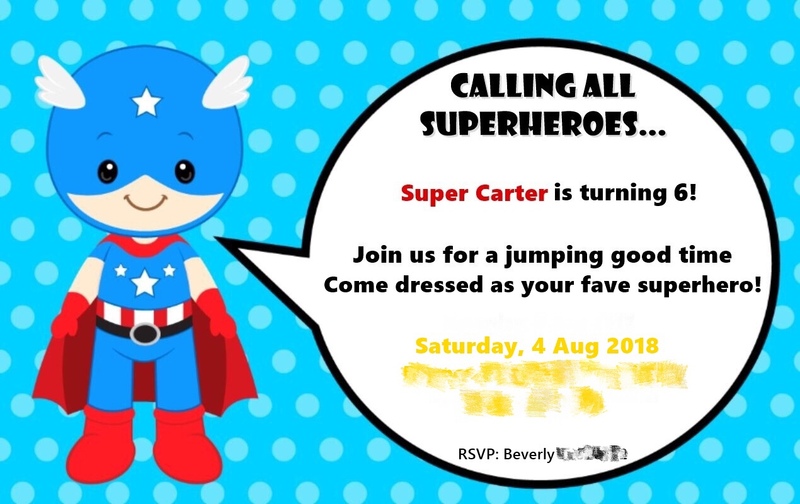 So now I have an epic 6 year old’s birthday party to plan and pay for. I’ve justified it by saying that it’s his last year of preschool, and he truly does love all his friends there. I know he’ll be beaming with happiness, seeing all his friends celebrating with him! THE BOYS SPILLED THE BEANS! Awwwww! I think this was a Good thing to cave over though. What a sweet boy! I just couldn’t say no when I saw his lil face looking up at me. Ahhhh!